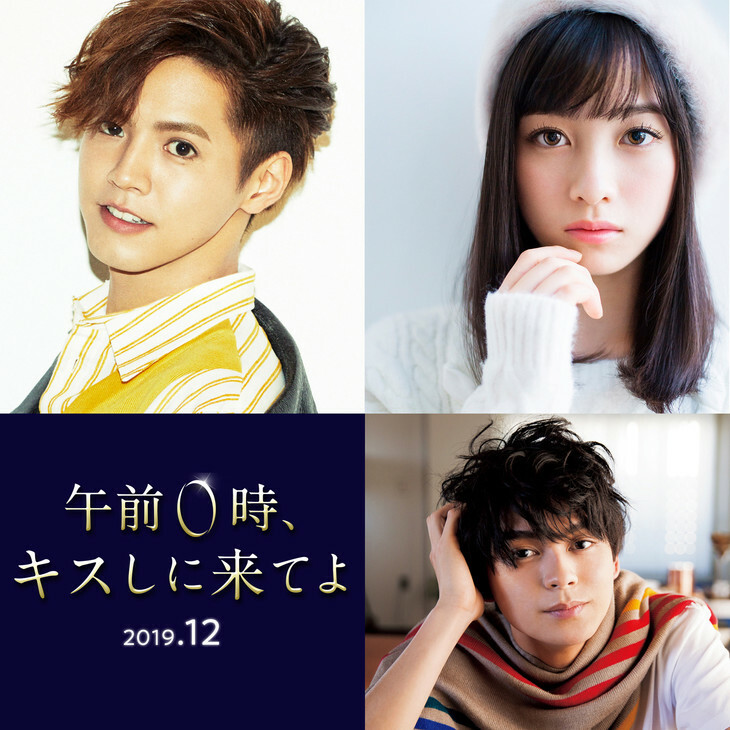 Ryota Katayose (‘GENERATIONS from EXILE TRIBE’) and Kanna Hashimoto are cast for lead roles in live-action film “Kiss Me at the Stroke of Midnight.” Gordon Maeda is also cast in a major supporting character role. The film is based on manga series “Gozen 0 ji, Kiss Shi ni Kite yo ” by Rin Mikimoto (“Close Range Love“) and directed by Takehiko Shinjo (“Heavenly Forest“). “Kiss Me at the Stroke of Midnight” will be released December, 2019 in Japan. Shun Oguri and Gen Hoshino are cast for lead roles in movie “The Voice in the Crime” (literal title). The movie is based on 2016 novel “Tsumi no Koe” by Takeshi Shiota. The novel itself gives a fictionalized account of a real life extortion crime case that took place in the 1980’s known as the “The Glico Morinaga case.” For the movie, Shun Oguri will play newspaper reporter Eiji Akutsu. He works on a story about an unsolved case from 30 years earlier. The case involved an extortion attempt by a group of people targeting several companies. 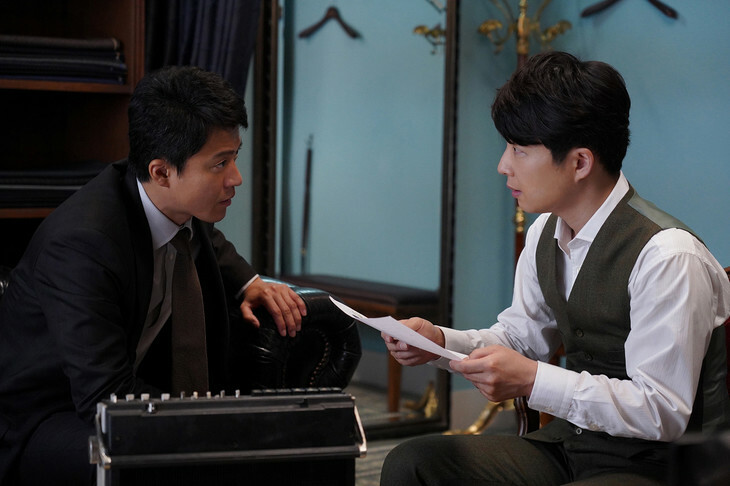 Meanwhile, Gen Hoshino will play Toshiya Sone. He learns by accident that as a child he may have had a direct connection to the crime. Movie is directed by Nobuhiro Doi. Filming for “The Voice in the Crime” is already underway and will finish June, 2019. “The Voice in the Crime” will be released sometime in 2020. 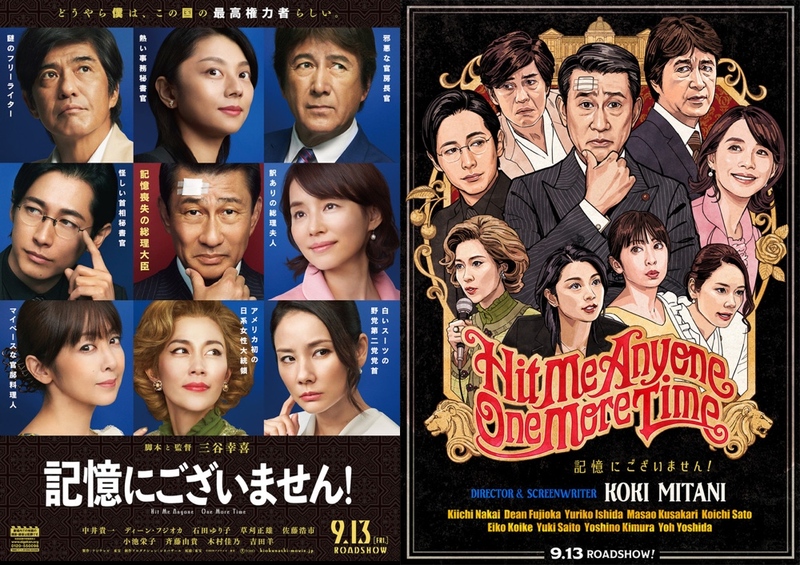 Here’s two teaser posters for upcoming “Hit Me Anyone One More Time” starring Kiichi Nakai. Announced today to play supporting characters are Eiko Koike, Yuki Saito, Yoshino Kimura and Yo Yoshida. The film is written and directed by Koki Mitani so you know the film will be a well done screwball comedy. This time around, Kiichi Nakai plays a man who wakes up with amnesia and then slowly realizes he is a the prime minister of Japan. “Hit Me Anyone One More Time” is now scheduled for release September 13, 2019 in Japan. Main trailer and poster added for movie “How To Bring Women Back Into A Good Humor” starring Akari Hayami and Yuta Hiraoka. 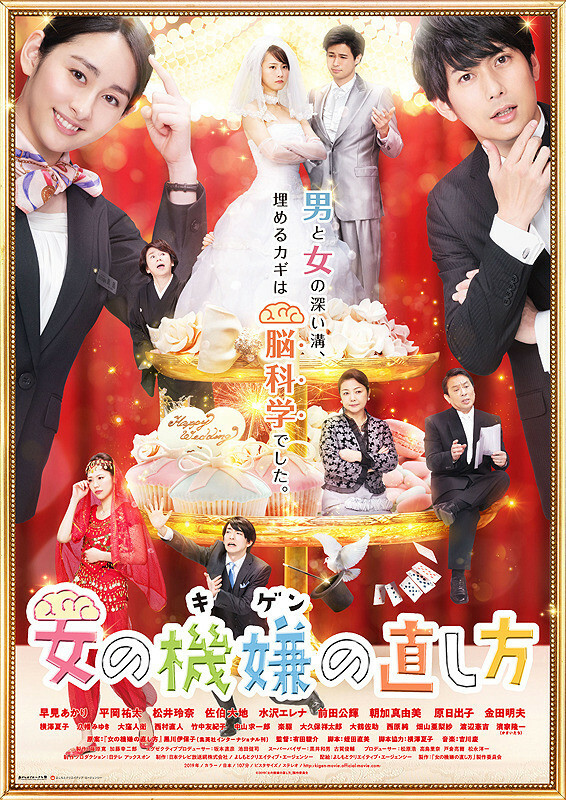 In the comedy film, Akari Hayami plays AI researcher Ai Majima who works at a wedding hall to research the mindset of women and men. Movie will have its world premiere at the upcoming 11th annual Okinawa International Movie Festival (April 18-21, 2019) and then have its general release June 15, 2019 in Japan. 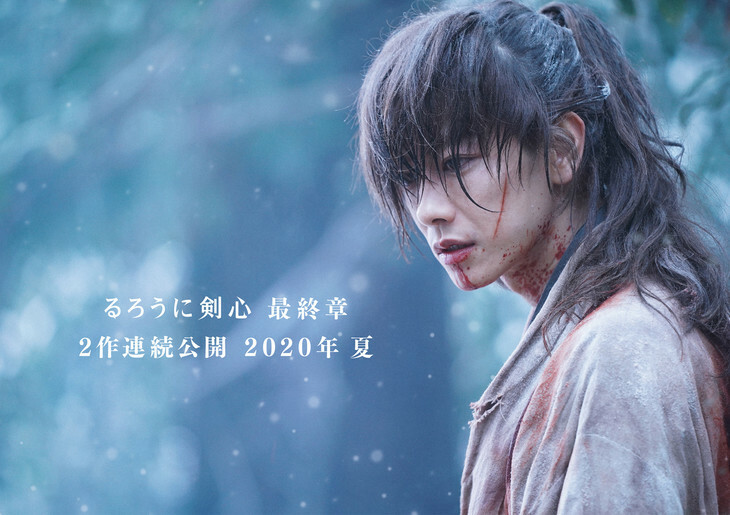 Takeru Satoh is cast in live-action film “Rurouni Kenshin: Final Chapter” (working title) which will consists of two parts. The film is based on manga series “Rurouni Kenshin: Junchuhen” by Nobuhiro Watsuki and follows 2012 film “Rurouni Kenshin,” 2014 film “Rurouni Kenshin: Kyoto Inferno” and 2014 film “Rurouni Kenshin: The Legend Ends.” Keishi Ohtomo will return to direct the two part film. Filming for “Rurouni Kenshin: Final Chapter” began back in November, 2018 and is scheduled to finish May, 2019. Both “Rurouni Kenshin: Final Chapter” films will be released during summer, 2010 in succession. “Love Stoppage Time” will be released September, 2019 in Japan. Serena Motola is cast in movie “Wind’s Telephone” (literal title of “Kaze no Denwa”). 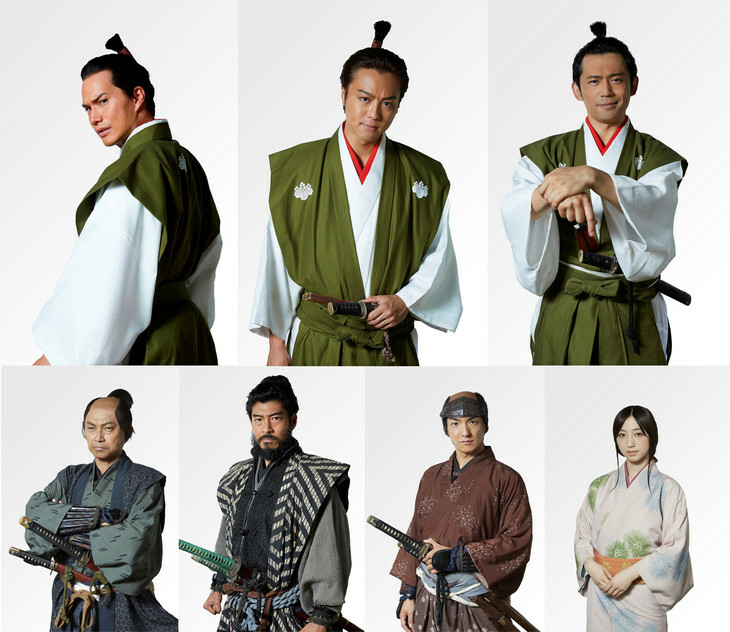 Also cast in major supporting roles are Hidetoshi Nishijima, Tomokazu Miura and Toshiyuki Nishida. The film is motivated by a true story. A man named Itaru Sasaki placed an empty phone booth in his garden because he wanted to talk to a cousin who died a year earlier. Then the next year, the 2011 Tohoku earthquake and tsunami hit the area. Many more people began visiting the phone booth to mourn those that passed away in that disaster. Movie will be directed by Nobuhiro Suwa. Filming for “Wind’s Telephone” will begin April, 2019 in JApan. 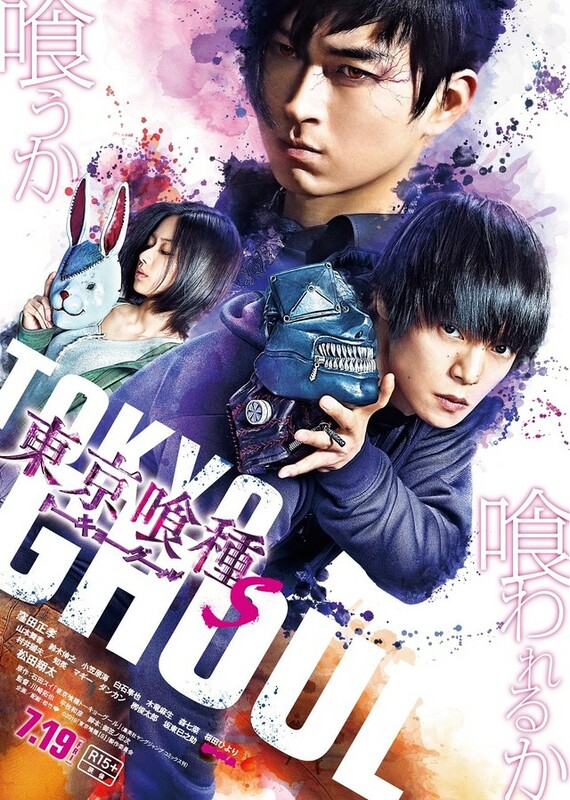 “Tokyo Ghoul 2” will be released July 19, 2019.